Stainless steel cutlery is very durable over time, and this resistant material is very classy when you put it on the table. However, after years of use, even stainless steel cutlery can lose its brilliance, and if you are the type of person who pays attention for details, you are more likely to notice this when you use them. 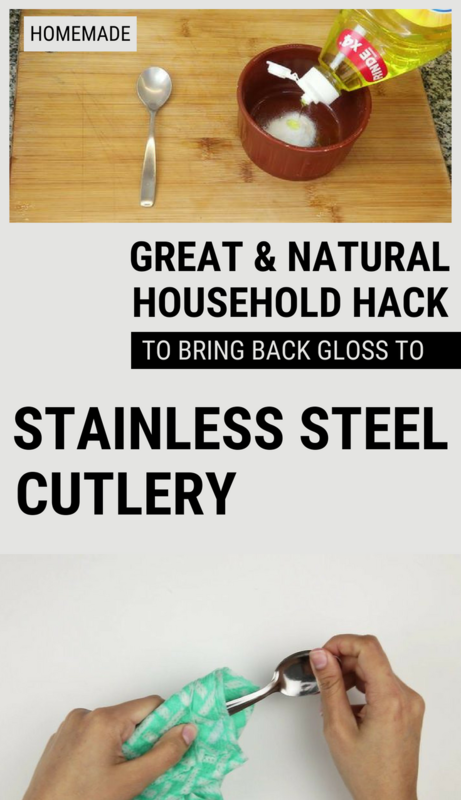 Luckily, polishing stainless steel cutlery is so simple that you will wonder why you haven’t done it before! Even if you wash them with dish detergent daily, it’s recommended that to boil stainless steel cutlery to disinfect them. And if you do that, why not polish them, to give them a new shine? Baking soda is an ingredient that we use more in household cleaning solutions than in cooking. To polish the cutlery, mix baking soda with liquid soap to form a paste, and then apply this paste with a soft cloth to the cutlery and polish, insisting on the stained areas. This paste is also excellent for removing dark spots resulting from the burning of the material, but will provide to stainless steel cutlery a special gloss.